We are dog sitting my mom’s dog, Dasher, for the next week while she’s on vacation and he’s not sure about being in our house yet. 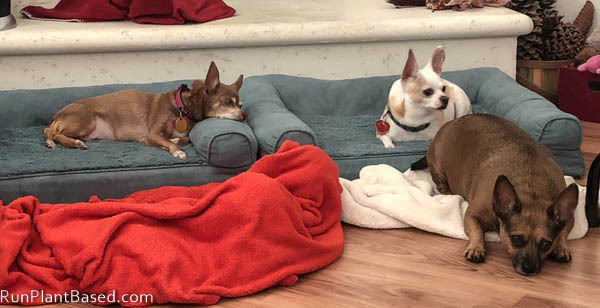 He’s on the, uh, heftier side and does not seem to like any of our dog beds, but he loves following Miko around. My mom swears he’s not over fed, but he’s gotten a lot heavier over the last year or two and picking him up is an awkward challenge. He could use a whole foods plant based diet! Because he has an interesting personality and stalks poor Miko sometimes for attention, we decided to separate them by baby-gating Dasher in the guest bathroom while we went out to dinner last night. Dasher decided that wasn’t acceptable and chewed through the baby gate! Luckily there was no drama, but I need to decide if we should try separating them again, or if he’ll go through the door next time! This will be an interesting week for sure. 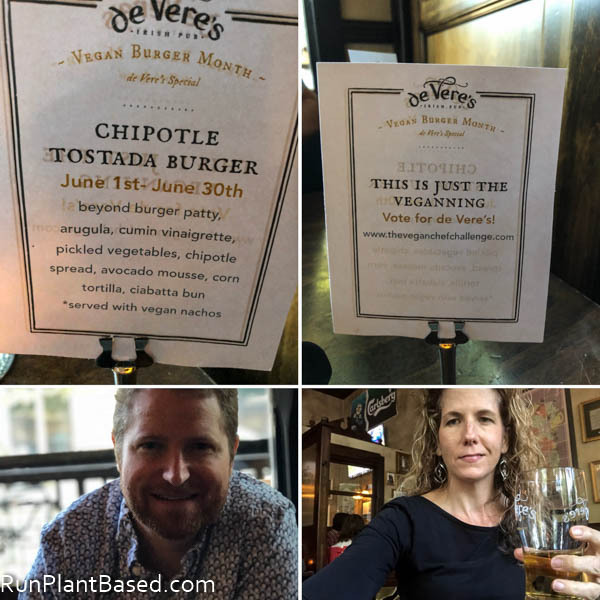 We stepped out to de Vere’s Irish Pub last night for the next stop on the The Great Sacramento Vegan Burger Battle tour and was excited to see what an Irish pub had to offer. It was a Chipotle Tostada Burger using a Beyond Burger patty. 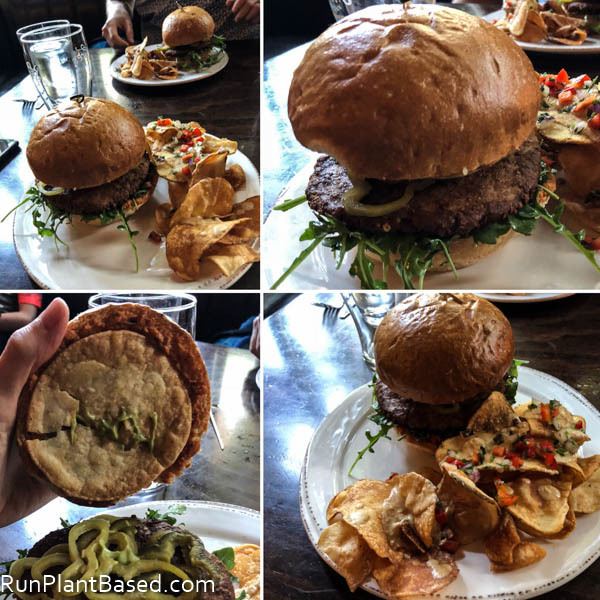 Served with a crunchy corn tortilla in the burger and vegan nacho potato chips was a very interesting and tasty combo. 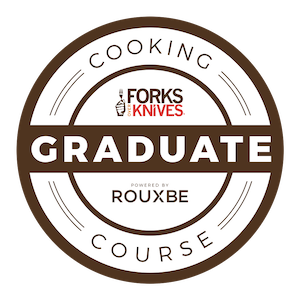 I thought it was great loaded with zesty flavors and fun textures, the avocado mousse was delicious. Hubby like it, the burger patty was great, but prefers more of a traditional burger and cheese combo. But so far I am loving the vegan burger battle and all the new places we’re tried because of it. I would not have expected to find great vegan options at an Irish Pub and I hope they keep serving unique creations like this. 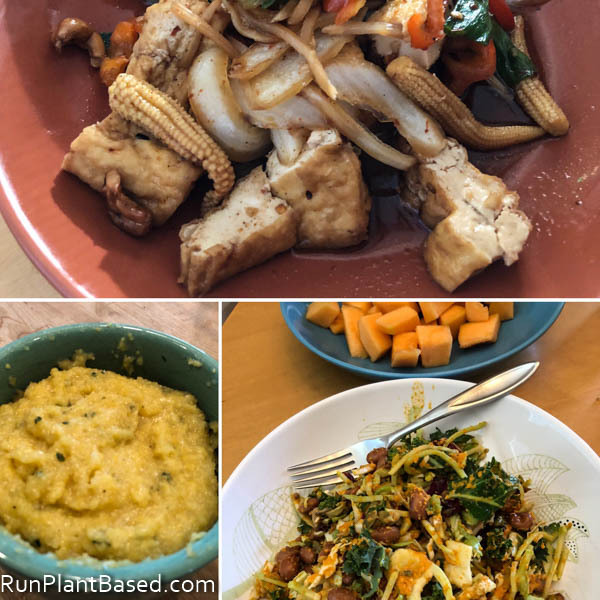 Other eats this week included salads with simple avocado and hummus dressings, tofu stir fries, and a delicious broccoli and tofu marinara saute. Spicy Thai tofu takeout Friday night since we were breaking in Dasher and didn’t want to leave him home alone yet. Cheesy vegan grits with chives for breakfast yesterday and a large kale and cabbage slaw dressing with a ginger carrot dressing. 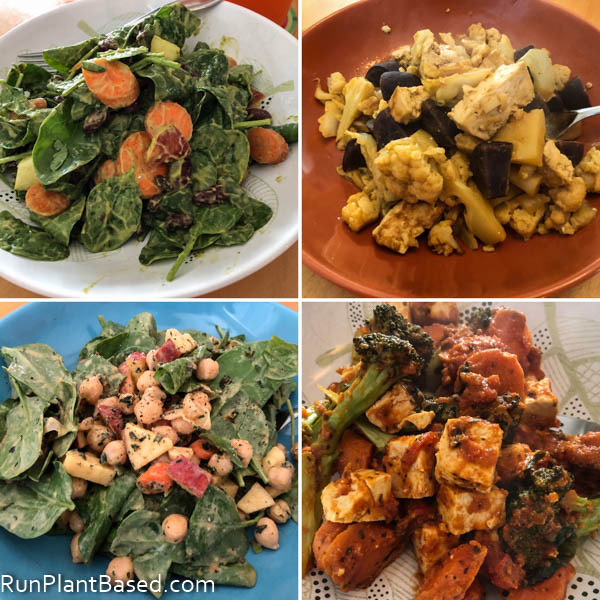 Trying to keep it healthier at home with all the decadent vegan burgers while eating out and salads and fresh fruit are easy go tos with warmer weather. I still need to see this documentary! “Manly” vegan recipes for Father’s Day. Natalie Portman on being vegan. And eating vegan wings. Being vegan in Iowa City. This high school graduate has embraced veganism. Why plant based protein is better for you than animal protein. Kaiser has an article on plant based diets. Lots of advice from this successful vegan trainer. 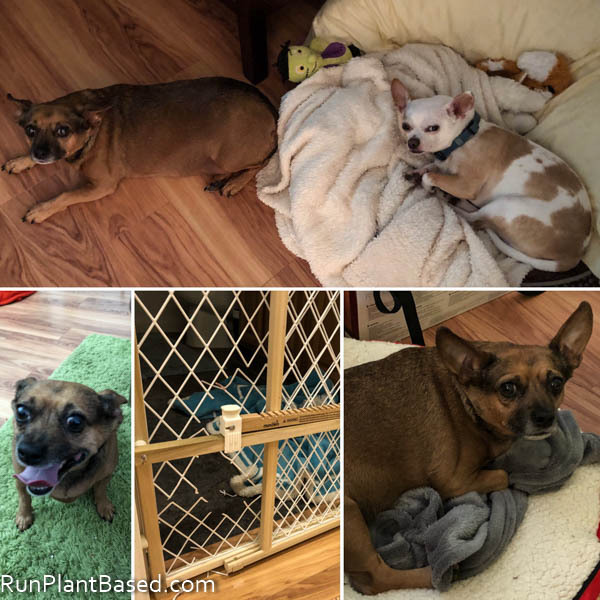 I’m just dying reading this post Christine! We dog sit for my mom too. She has a Westie who see INSISTS is not fat. This dog is twice the size of my dachshund when you get the aerial view! I mean, so overweight, it’s ridiculous! She swears up and down that she feeds her dog only the amount it says on the can. Yeah right! And yes, “Daisy” stalks my dachshund Weenie and follows him around the house. He is not interested in her at all, haha! Haha, that is too funny! Same for Dasher, I have no clue how his little legs support all of him! Same for Miko, Dasher follows him everywhere and they both follow me everywhere! Aw, what a sweet visitor! I know my guy wouldn’t take too kindly to an intruder, no matter how friendly, so I must commend your welcoming pups. Hopefully they’ll be a good influence on him to shape up, too! Yes, he really is a sweet just, just a little misunderstood sometimes. :-) And he’s learning to like carrots and lentils.